Throwing up is one of the worst experiences in life. Having said that, in some situations, vomiting becomes necessary to the point of being a lifesaver. And for that reason, you must know the techniques to induce vomiting. Vomiting is an unbearable feeling for most people when they’re sick. Considering that it can be both disgusting as well as painful, voluntarily inducing vomiting is not something people look forward to. However, throwing up becomes necessary if someone consumes a poisonous or harmful substance. In an emergency, it may even be the only option at hand. Poisoning may not be the only reason that one needs to throw up. You may also feel the need to vomit if something you’ve eaten doesn’t seem to agree with your stomach. So, how does one go about it? Salt and mustard are the two main agents traditionally used for this purpose. With the development in the field of medicine, emetics are also available in the market. But, being informed about the right practices is essential to make purging beneficial to your body. Otherwise, it may end up doing more harm than good. 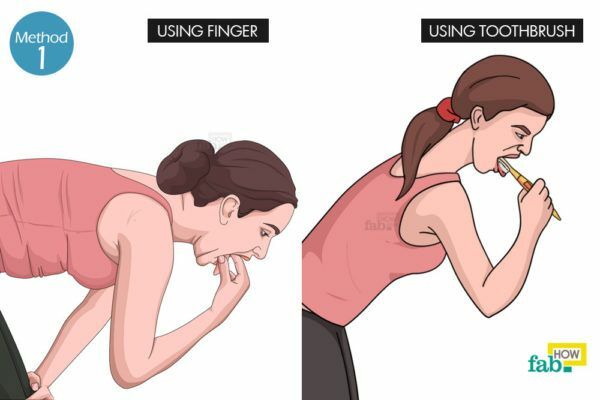 Here are six methods that you may try to make yourself to throw up easily and quickly. Using your own finger is probably one of the oldest methods to induce vomiting. However, if you’re squeamish about subjecting your finger to this, you also have the option of using your toothbrush. Both work by activating a gag reflex. Always clean your finger or toothbrush, whichever you’re using, before attempting this. Push your finger to the back of your throat or tickle your uvula to activate your gag reflex. Keep going until you feel nauseated and remove your finger quickly when you feel the vomit coming. This is the fastest and sure-shot way to throw up. If using a toothbrush, soften the bristles by wetting them first. Tickle the back of your tongue with the bristles. When nausea builds up, pull the toothbrush out of the way. Thoroughly clean your finger or toothbrush after using it to induce vomiting. While the toothbrush is safe to be used again, you may want to discard it nonetheless. Keep this in mind before using your favorite toothbrush. 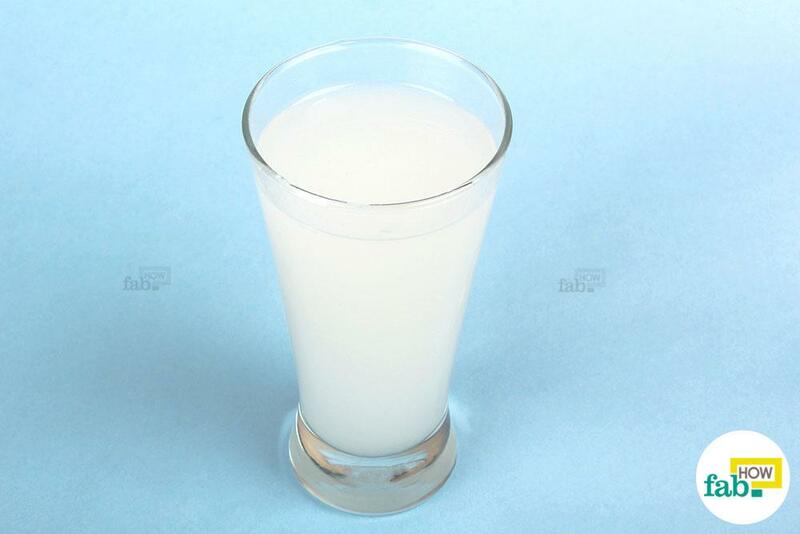 Saline water is a cost-efficient, natural and readily available emetic. It also serves as a great remedy to tackle a sore throat. 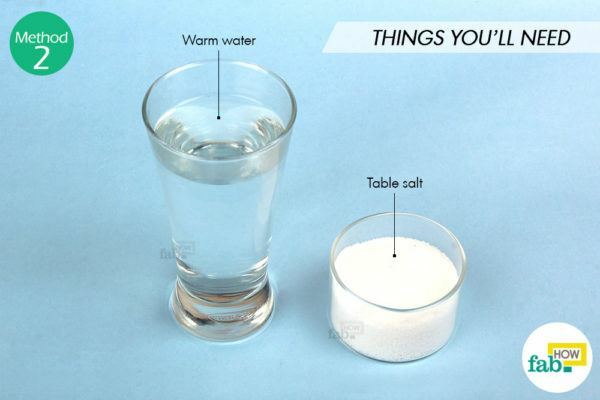 Add 2 to 3 teaspoons of simple table salt to a glass of warm water. Stir well to dissolve the salt completely. Drink the entire glass of saline water in one go. Allow it to work for 20 to 30 minutes. It should successfully expel the contents of your stomach. Follow it up with your finger or toothbrush if you don’t throw up after 30 minutes. Note: This therapy should not be used by those who have diabetes or a heart condition in which excessive salt intake could potentially be fatal. It should not be performed on children or the elderly as well. If it is way past midnight, then you need to go no further than your own kitchen to get your hands on this homemade emetic. 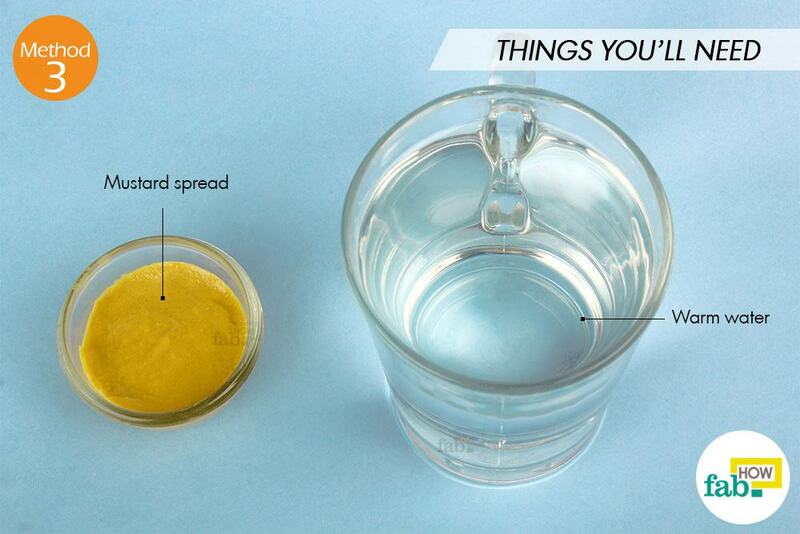 Thoroughly mix 1 tablespoon of mustard spread into a glass of warm water. Drink the mustard solution and wait about 30 minutes to let it take effect. The smell, sight, and taste of the drink will help build nausea, too. Follow it up with your finger or toothbrush, if needed. 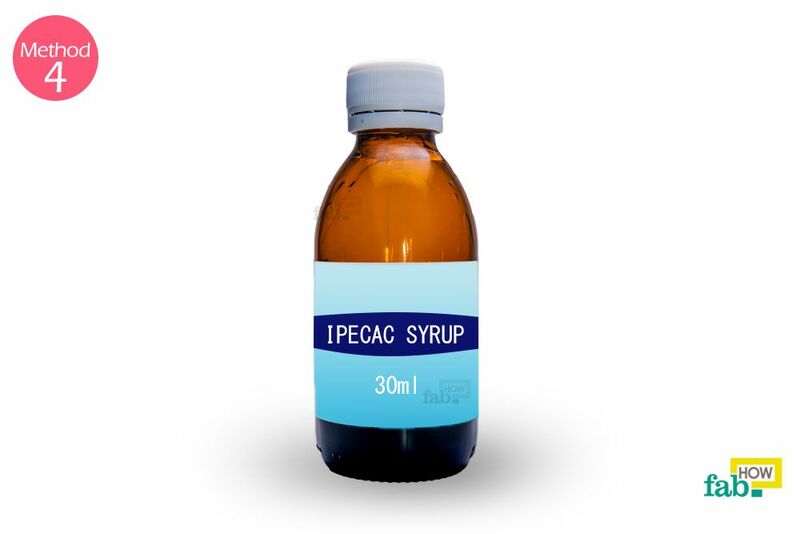 You also have the option of purchasing over-the-counter emetics. Emetics are specially formulated medicines that induce vomiting when consumed. Consume the emetics according to the package instructions. You may also ask the pharmacist or your doctor for advice on the dosage. Never consume more than the prescribed dosage of an emetic, as less is more when it comes to these. 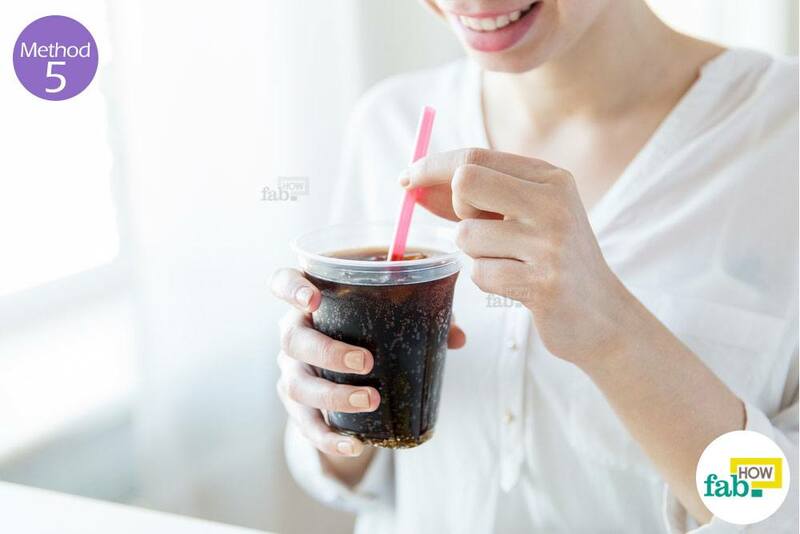 You may have heard about drinking Coke to help ease nausea, but you may be surprised to know that drinking flat Coca-Cola can be used to induce nausea and vomiting. In any case of food poisoning, drinking Coca-Cola after its bubbly fizz has died is an effective way to induce nausea and purge the harmful substances from your system. Remember being severely nauseated when you saw that guy throwing up on the sidewalk? When one person in a primate group throws up, the sight, smell and even the sound of retching can induce severe nausea and vomiting in the surrounding members. This usually helps a group to protect themselves from any poisonous food source. While this is a trait evolved in primates to promote survival, you can use it to induce vomiting in your system. Living in society, you usually end up suppressing this trait. 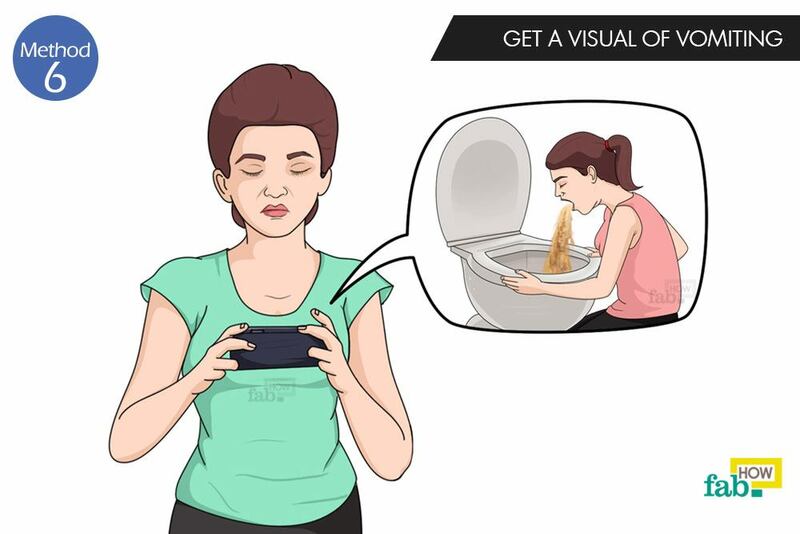 Although you can’t mentally conjure a person puking on a whim, you can use the help of multimedia. Make sure to be near a toilet while you do this. Simply watch graphic videos of people throwing up. Concentrate on the gross aspects of the sight and the sounds of retching until you throw up. Sometimes just thinking about vomiting is all you need to throw up. All the better if you’re feeling nauseous beforehand. Society usually conditions us not to think about graphically grotesque things like throwing up. So even when you wish to throw up, your mind subconsciously prevents you from thinking about it. 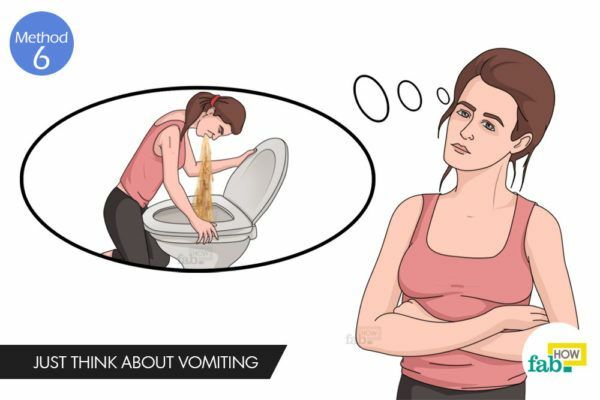 If you openly think about vomiting, allowing your mind to fully concentrate on the sights, sounds, smells or even the memory of them, nausea will build up fast and induce vomiting. 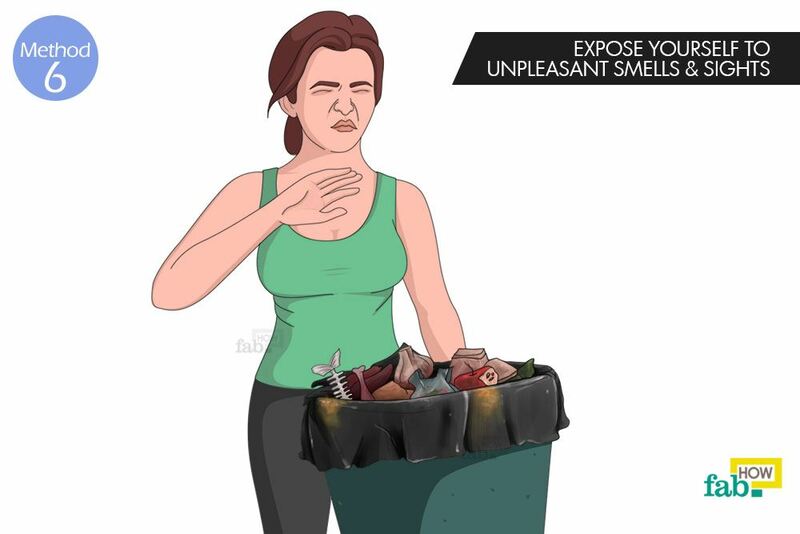 A variation of the above two techniques can be exposing yourself to a variety of unpleasant sights and smells. Anything from puke and poop to phlegm and mucous can bring about the onset of nausea and induce vomiting. If blood and gore make you nauseous, that’s what you need to think about. The foul sight and smell of dead and decaying matter can also make a majority of people start heaving and retching. The more graphically grotesque the sights, the better and faster they’ll work to help you throw up. Roller coasters are fun. 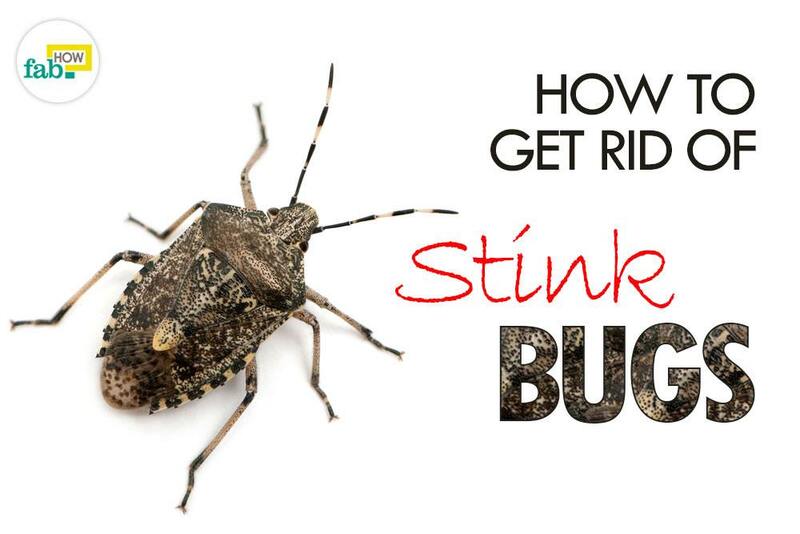 They can make you nauseous, too. However, the chances of having access to a roller coaster or even a merry-go-round are slim when you suspect food poisoning. What you can do is sit on a bar stool or a revolving chair and spin yourself until you feel dizzy. Motion sickness often leads to dizziness, then nausea followed by vomiting. If you’re prone to motion sickness, this method may be effective on you. Before attempting any of the above methods, ensure that vomiting is essential to improve your condition. You also need to make sure that throwing up is not potentially harmful in your particular case. If your locality has a poison hotline, call them to inquire whether vomiting is appropriate. You may also call your pharmacist or doctor for advice. Voluntarily throwing up when it is not an absolute emergency should be avoided at all costs. The mechanism of vomiting is like a safety switch for our bodies, abuse of which may lead to complications and disorders like bulimia nervosa. The effectiveness of using your finger to induce vomiting will depend on how good your gag reflex is. Those with a dormant or suppressed gag reflex may not find this method very useful. 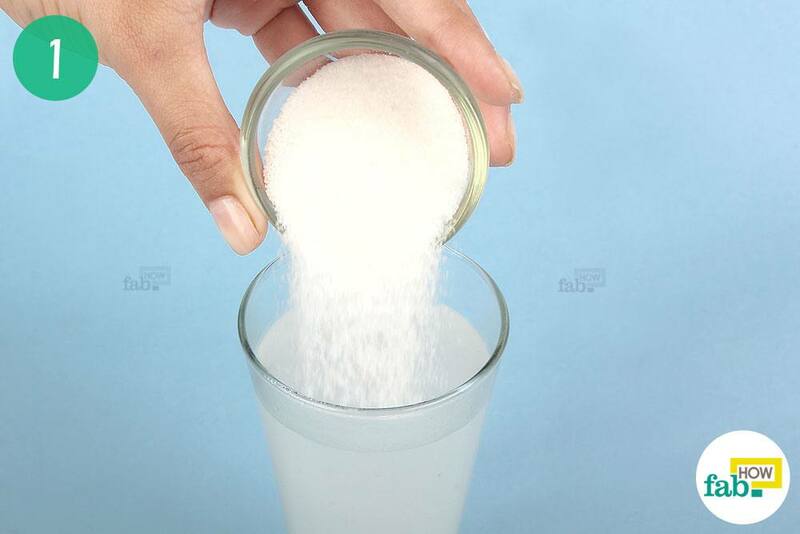 Stick to the prescribed amount of salt when making saline water, as too much salt may harm your body. Those with high blood pressure or on a low-sodium diet should steer clear of this method. After you’re done expelling the needful from your system, wash your face and clean your mouth. 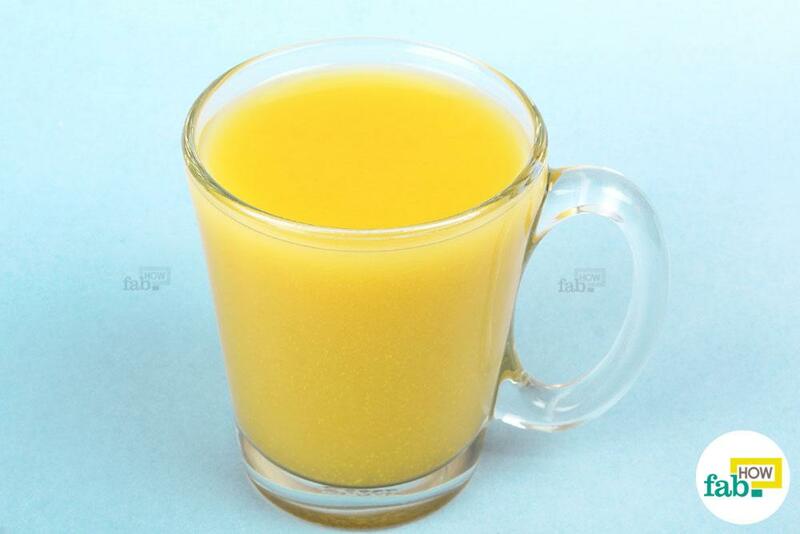 This will make you feel better as you expel acids and alkali along with vomit, leaving a bad taste in your mouth. Rehydration after vomiting, even if it’s self-induced, is essential to keep the body healthy or it gives rise to weakness. Rather than gulping down water, take a sip of clean water every 10 minutes or so. Never use these methods to induce vomiting in your dog or cat. These are strictly for humans and may be harmful to your pets. If your pet has ingested something poisonous, consulting the vet is the best option. Scorza KA, Williams A, Phillips JD, Shaw J. Evaluation of Nausea and Vomiting. AAFP Home. https://www.aafp.org/afp/2007/0701/p76.html. Published July 1, 2007. Bhatted S, Shukla VD, Thakar A, Bhatt NN. A study on Vasantika Vamana (therapeutic emesis in spring ... AYU. https://www.ncbi.nlm.nih.gov/pmc/articles/PMC3296337/. Published 2011. Balakrishnan R, Nanjundaiah RM. Voluntarily induced vomiting – A yoga technique to enhance pulmonary functions in healthy humans. Journal of Ayurveda and Integrative Medicine Journal of Ayurveda and Integrative Medicine. https://www.sciencedirect.com/science/article/pii/S0975947617300116?via=ihub. Published December 11, 2017. Manohar R, Pushpan R, Rohini S. (PDF) Mustard and its uses in Ayurveda - ResearchGate. Indian journal of traditional knowledge. https://www.researchgate.net/publication/215533380. Published July 2009. Horn CC. Is there a need to identify new anti-emetic drugs? Drug Discovery Today: Therapeutic Strategies. https://www.ncbi.nlm.nih.gov/pmc/articles/PMC2597850/. Published August 2007. Thank you for your comment. Glad that we were able to help. I ate something that I was allergic to and needed to get it out of my system fast thanks for these tips. We are glad we could be of help.